Barragan Insurance Agency offers Professional Liability Insurance. Professional Liability Insurance or Errors and Omission Insurance (E&O Insurance) covers individuals who provide professional services, such as physicians and lawyers, from losses they incur as a result of being held responsible for the losses of their clients. This could result from claims of malpractice, error, or mistake committed or alleged committed by the insured in his professional capacity. Errors & Omissions or E & O insurance protects you the professional should you make an innocent mistake or false claims against you. Errors and Omissions also provides protection for your clients. Coverage will protect personal assets and helps to maintain a good reputation through the defense of allegations of wrongdoing which might be false or frivolous. Professional liability insurance will ensure sufficient funds are available to make amends for the wrong that has been done to a client who has suffered damages through the actions of a professional. A professional liability policy covers errors, omissions or negligent acts which arise from the usual or normal duties carried out by the insured. When the professional is an employee of a firm, the firm, as the employer, is responsible for the actions of the employee. However, a court of law may find a professional personally responsible for an incident that occurred due to an error, omission or negligent act committed by the professional as an individual. What professions have Professional Liability available to them? Professional liability is available for Real Estate Brokers and Agents, CPA’s / Accountants, Bookkeepers, Attorneys, Doctors, Dentists, Technology companies, Architects & Engineers (Design Professionals), and various other miscellaneous companies. Barragan Insurance Agency provides professional liability for real estate agents and brokers. Barragan Insurance Agency can provide you with the best coverage at the best rates available. Real Estate Brokers and agents professional liability insurance sometimes called errors and omissions or E & O insurance, is available from Barragan Insurance Agency. Pricing varies depending on the type of professional operation, the services provided, the account’s size, location, and the percentage of commercial property and the location can have a significant impact on pricing. Specific coverage provisions are important for this coverage. 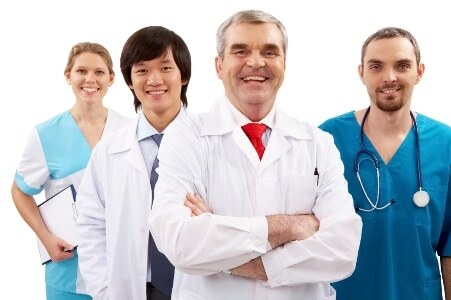 Some professionals require coverage with special provisions to protect themselves from unique claims arising from their specialized services, such as consulting services. Get a Free Architect & Engineering E & O quote. Barragan Insurance Agency provides professional liability for Architects & Engineers. An A & E professional liability policy is designed to target the key exposures for architects and engineers. The coverage includes a Business Owners Policy (BOP) alongside the E & O, providing no gaps or overlaps in coverage. The General Liability component provides comprehensive coverage including products and completed operations, tenants legal, employee benefits, non-owned and hired auto and medical expenses. Errors & Omissions insurance for mortgage field service inspections of homes for mortgage companies, banks, and insurance companies. We provide low cost E & O coverage for contractors, subcontractors and independant field reps. Call 916-984-9320 for a free quote or go to Mortgage Field Services E &O quote form. Insurance Center for Sacramento and the Northern California region including Folsom, Elk Grove, Rancho Cordova, Carmichael, Antelope, North Highlands, Gold River, Fair Oaks, Woodland, Natomas, Sacramento, Anatolia, Kavala Ranch, Rocklin, Roseville, Lincoln, Loomis, Granite Bay, Galt, Natomas, Davis, West Sacramento, Citrus Heights, Orangevale, El Dorado Hills, Stockton, Modesto, Lodi, Merced, Tracy, Antioch, Dixon, Woodland, Fairfield, Vacaville, Vallejo, Marysville, Yuba City, Linda, Plumas Lakes, Chico, Bakersfield, San Jose, Campbell, Los Angeles, San Diego, San Francisco, Long Beach, Fresno, Oakland, Santa Ana, Anaheim, Placer County, Sacramento County, El Dorado County, Yolo County, San Joaquin County, Sutter County, Northern California, Central California, and Placer County, and other cities and counties within California.